I am a huge fan of Fresh holiday sets and have been sharing them for a few years now. I find these sets to be wonderful gifts because they are usually set at various price points to appeal to all budgets. Also, they include their best sellers in these gift sets so you know you’re getting quality products! 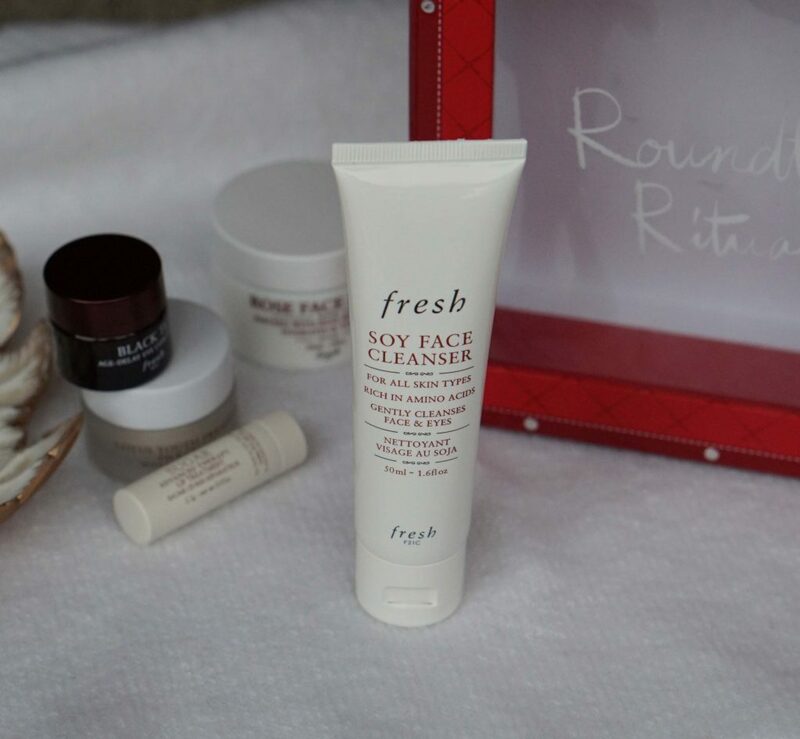 Today, I have two of the larger skincare kits to share: Fresh Roundtrip Ritual & Fresh Sky High-dration. Both of these retail for $82 CAD. 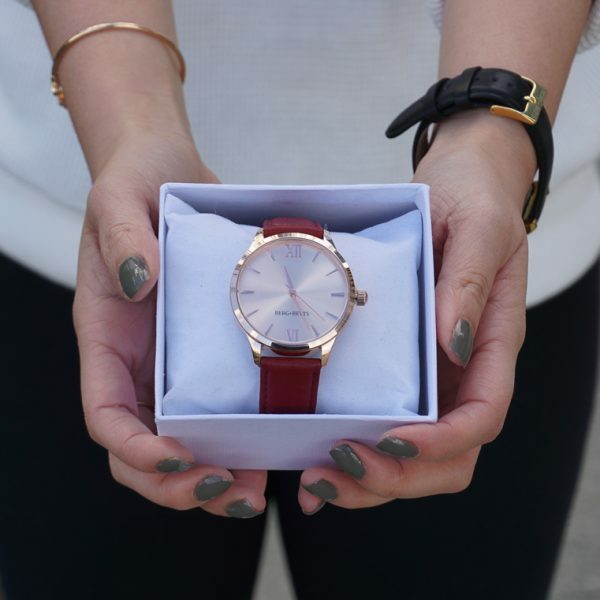 Both sets come in a square red box with a plastic top so you can see all the products you’ll be getting. The cardboard box comes with a handle and a gift tag so you can definitely give this as a present without any additional wrapping. If you are concerned about the price tag showing, it’s actually a sticker and you can peel it off! Both of these sets contain a 50mL Soy Face Cleanser. If you shop at Sephora a lot, you’ve probably seen these in gift sets or purchase points. While it’s not anything exciting, it’s a good basic cleanser to have. 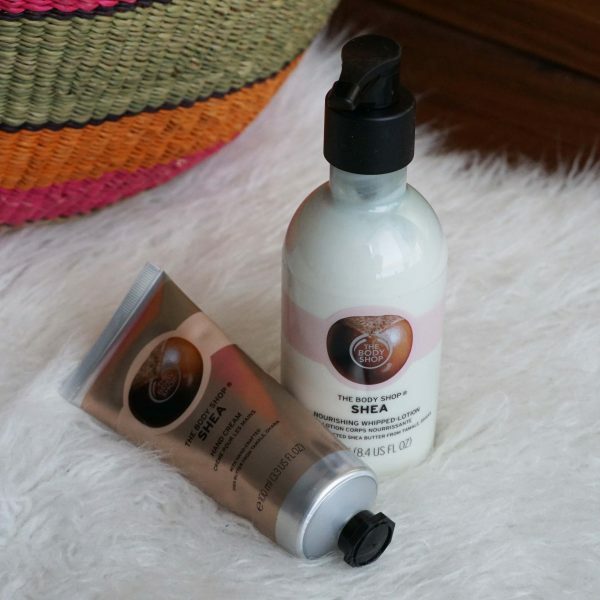 The Soy Face Cleanser is a gentle gel cleanser. I use it over my eye makeup as well to remove makeup and it does not sting the eyes. 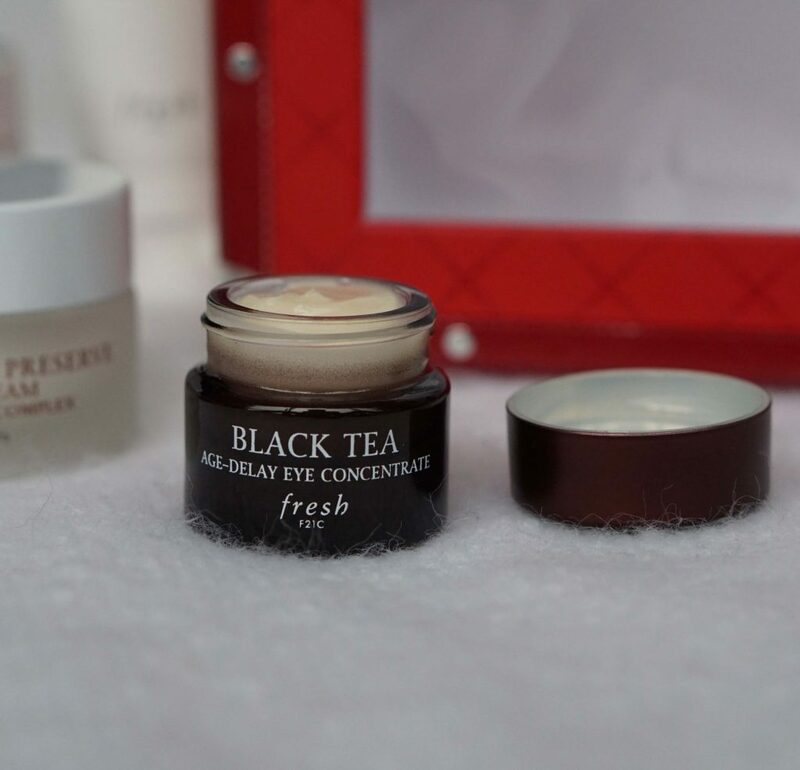 Next in the set is a 5mL Black Tea Age-Delay Eye Concentrate. I am trying to take better care of my eyes but I have not yet tried any product that’s actually made a difference. This eyecream is one of Fresh’s original products and aims to diminish visible signs of aging, dark circles and puffiness. 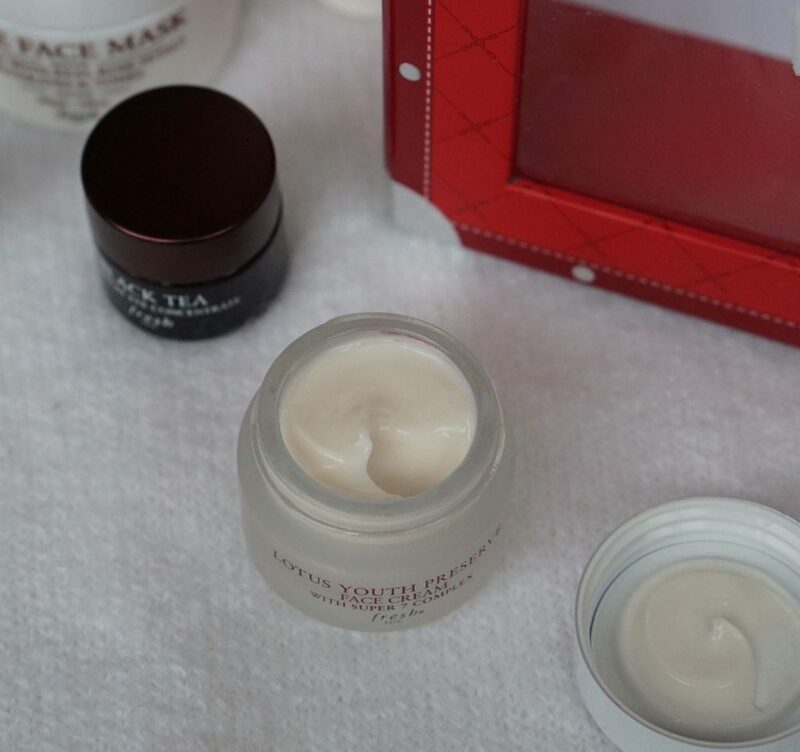 Once you have your eyes covered, moisturize your face with the Lotus Youth Preserve Face Cream. This is a great daily moisturizer for those who want to prevent the early signs of aging. If you are in your mid twenties, it’s time to start thinking about preventing wrinkles before it happens! It is made for all skin types and promotes radiance along with hydration. Unfortunately during the winter time, my skin is extremely dry, so I’ll probably try this out during the spring time. Both of these gift sets actually contain the Rose Face Mask. That is fine by me as I really enjoy this product. 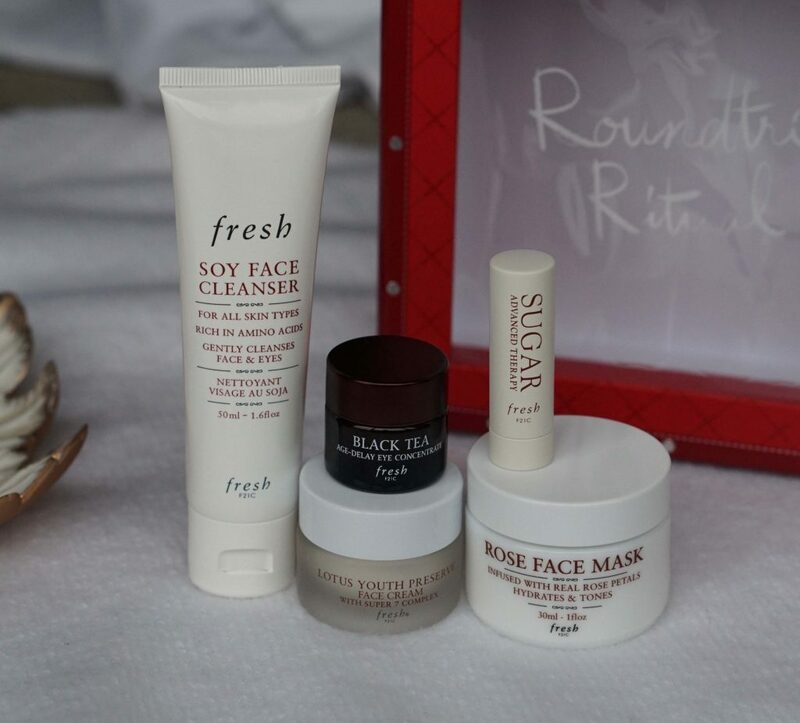 In the Fresh Roundtrip Ritual set, you get a 30mL size of the Rose Face Mask. 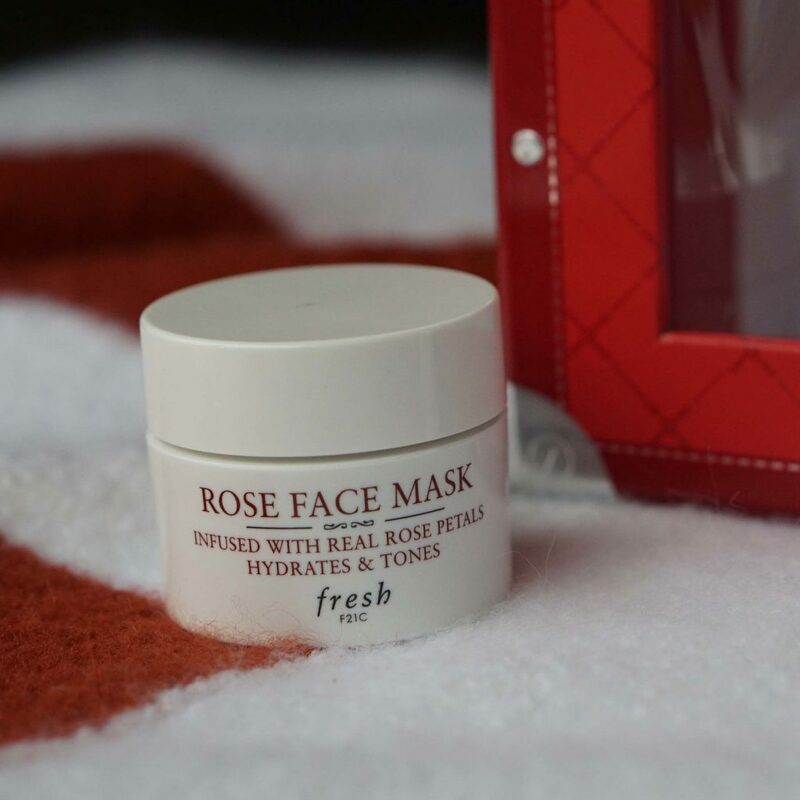 This mask has a gel consistency with real rose petals in the fomrula. 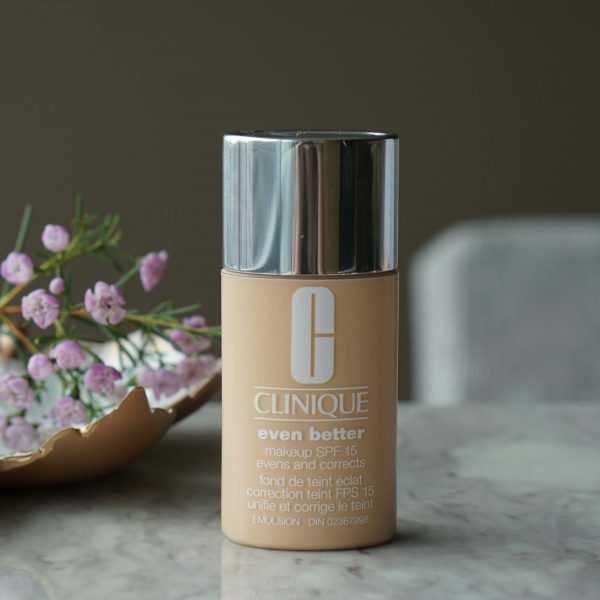 It feels hydrating and refreshing on the skin. I’ve been using it with my Ecotools Mask mates and it’s so easy to apply and remove! 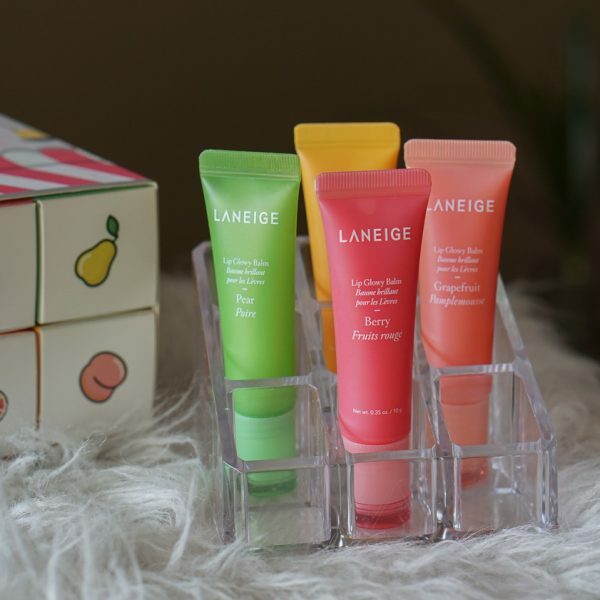 Lastly, what’s Fresh without a Sugar lip balm! These products were the reason I got to know Fresh and for the longest time, I thought the brand was called “Sugar”. For this Sugar Advanced Therapy lip balm, it aims to hydrate and also smooth out wrinkles which makes your pout look fuller. I honestly never thought of that but it would make sense that without wrinkles, you would have a larger surface area. This also has that lemon vanilla scent just like the regular Sugar lip balms. 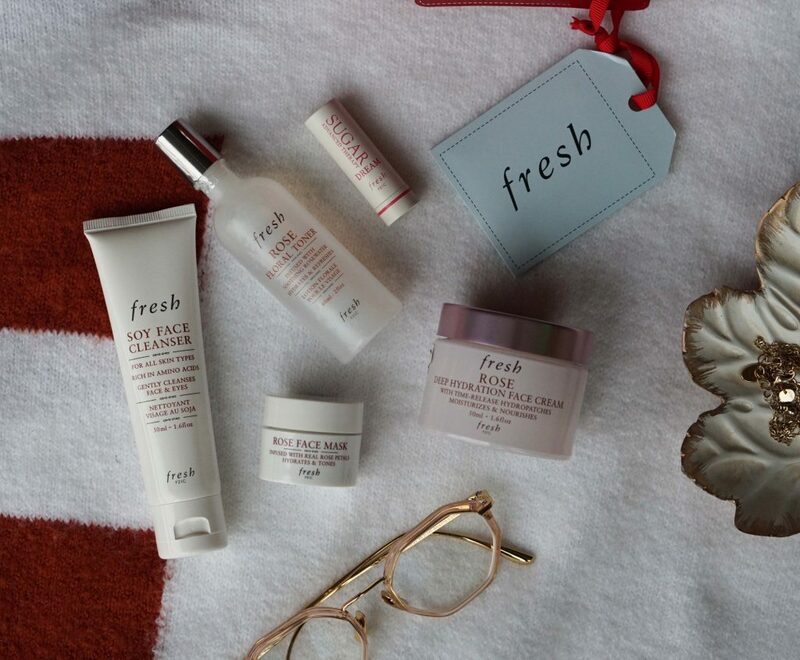 The Fresh Skin High-dration set also retails for $82 and contains 5 products. This set leans a bit more towards hydration and focuses on rose as the key ingredient for the products. The Soy Face Cleanser is the same as in the other kit. While the Rose Face Mask comes in a 15mL container. 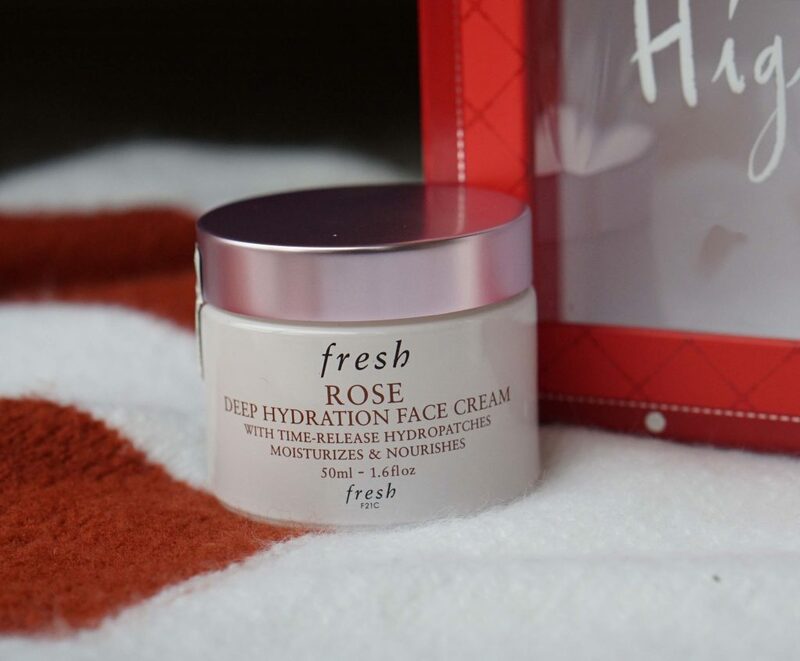 The star product of this kit is a 50mL full size jar of Rose Deep Hydration Face Cream. It has a light weight cream formula that easily absorbs into the skin. I love the smell of this. The combination of Rose and something vegetal (cucumber) makes me feel relaxed and pampered. The key ingredients are time released hyaluronic acid and rose water. I love to keep a facial toner at work to refresh mid day. 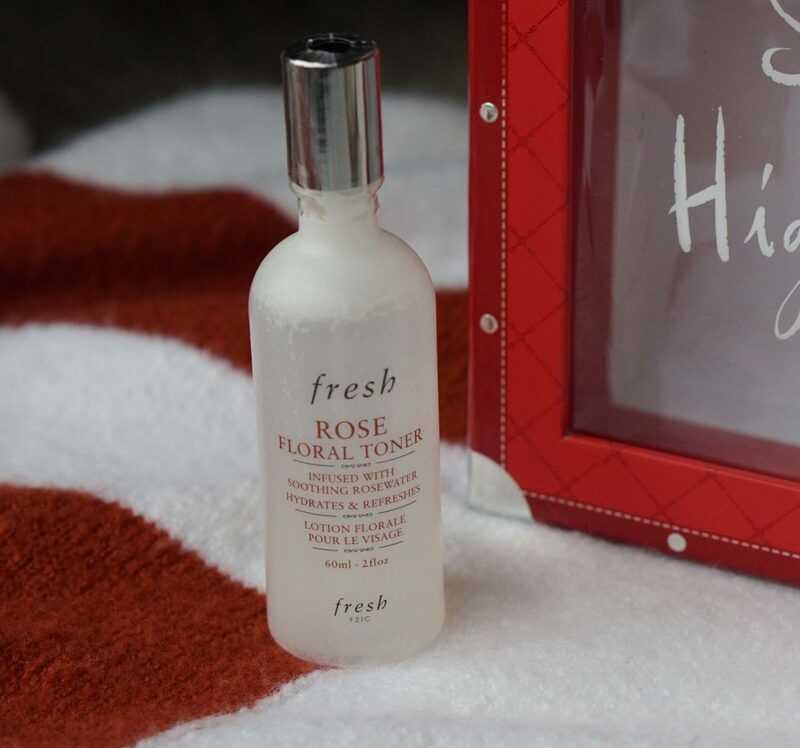 The Fresh Rose Floral Toner has a wonderful light floral scent. The spray nozzle provides a well dispersed veil of product of your face. I don’t notice any effects for my skin but it makes me feel much more alert. I also love that hydrating feeling when my skin is feeling dry. Lastly, this kit includes the Sugar Advanced Therapy in Dream. It has the same anti-aging and hydration properties as the translucent version but with a light pink tint. Unfortunately this broke at the bottom before I got to use it. You do have to be careful with Fresh lip products as it’s soft and can break especially in the heat. Luckily, Canadian winters comes in handy for once. Both of these gift sets retail for $82 and have a value of $116 or $119. Fresh made very curated choices for the products and I’m happy with the variety of both. 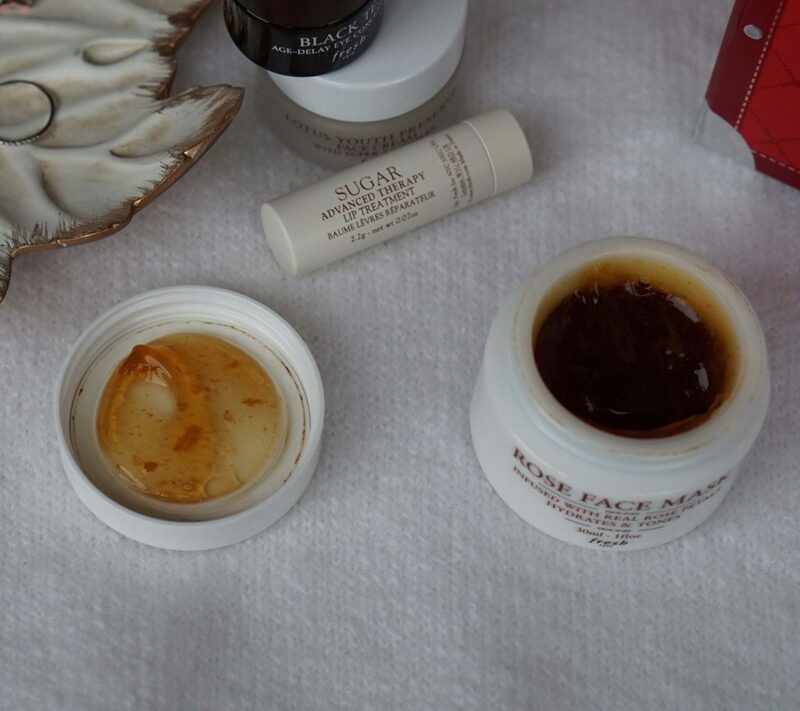 I think if you are giving it as a gift or if you have no specific skin concerns, the Roundtrip Ritual provides you with a more complete skincare routine. Whereas if you have drier skin or love rose products, the Sky High-dration will be a better buy! Either way, these gift sets are great value and packaged ready for even the pickiest beauty lover! Let me know which set you would rather have!